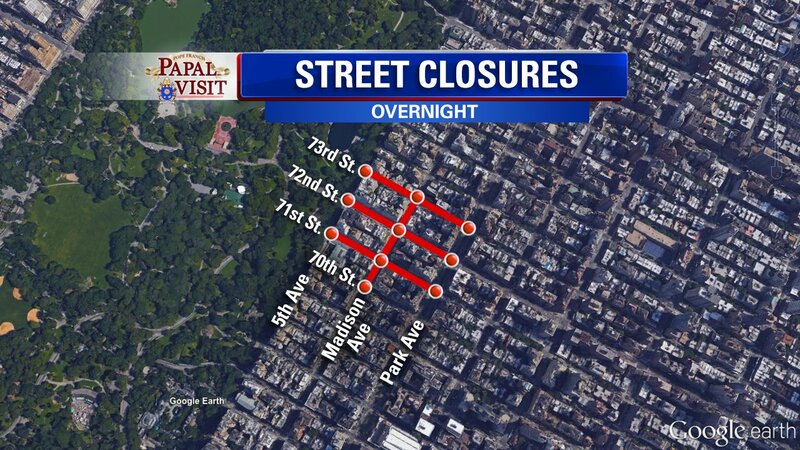 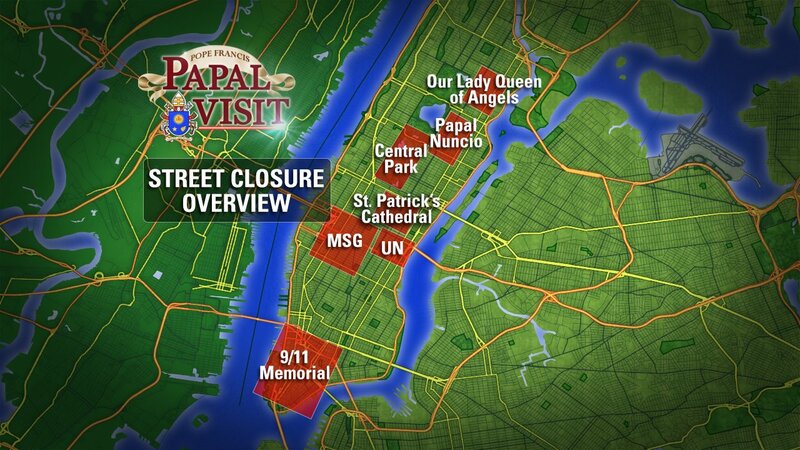 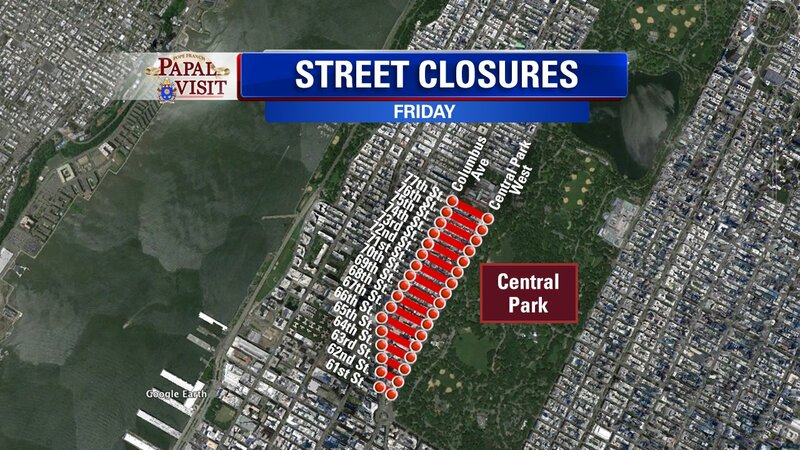 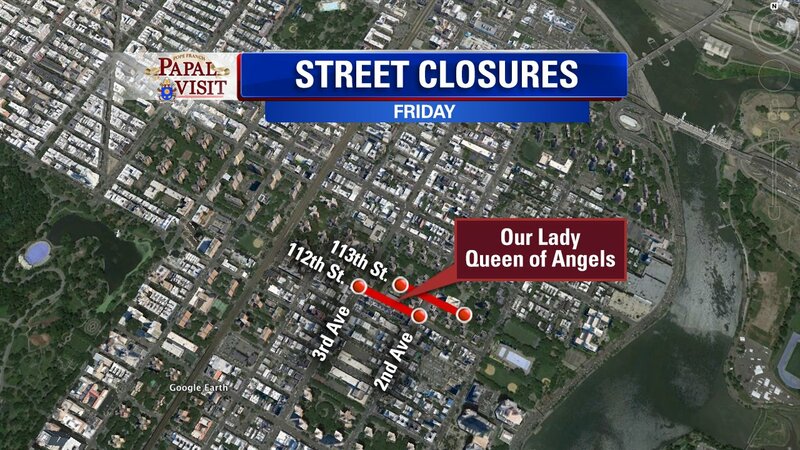 NEW YORK (WABC) -- The NYPD has announced street closures and anticipated traffic delays relating to the visit of Pope Francis. 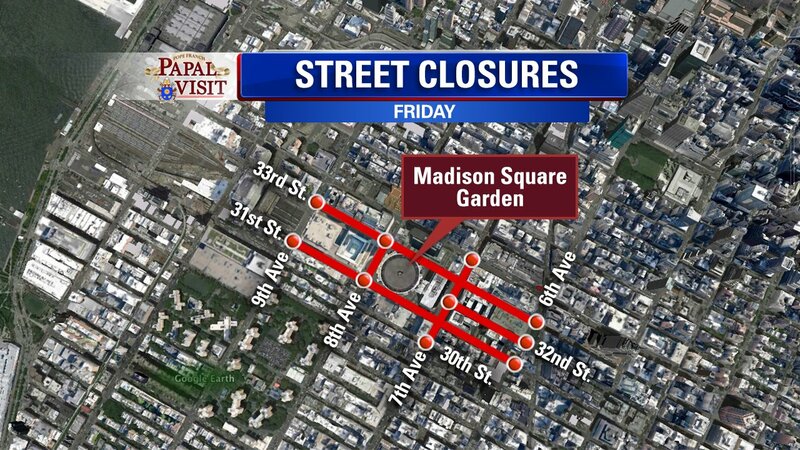 Police are highly encouraging the use of public transportation for the duration of the visit. 5th Avenue from 47th Street to 55th Street. 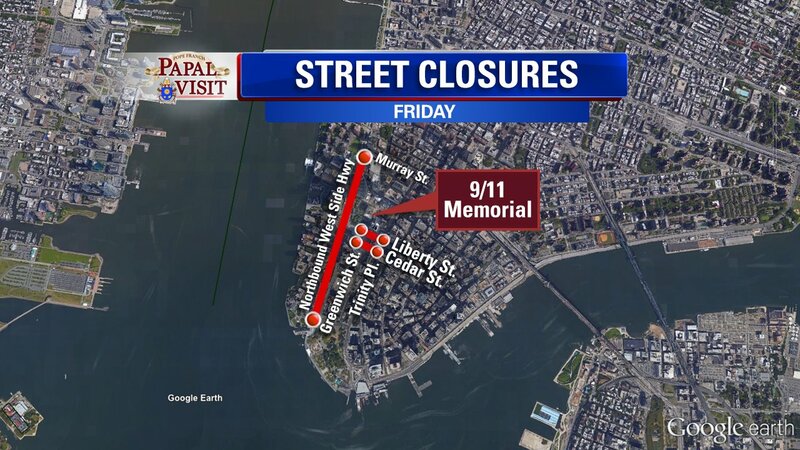 1st Avenue from 42nd Street to 48th Street. 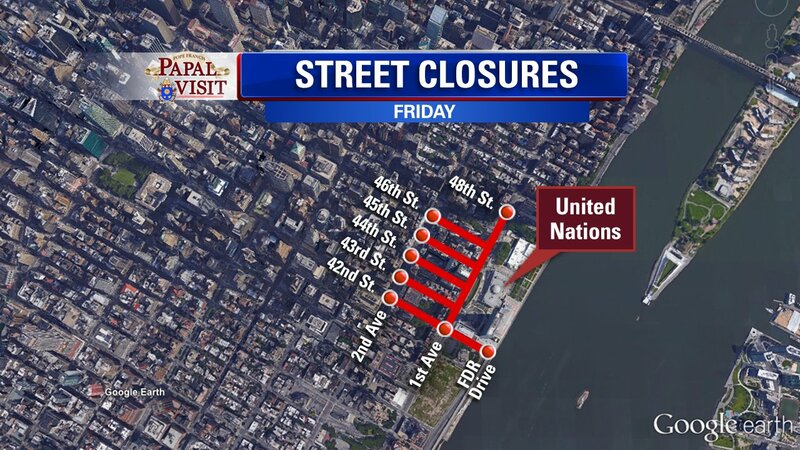 The tunnel underpass from 41st Street to 48th Street will remain open for passenger cars. 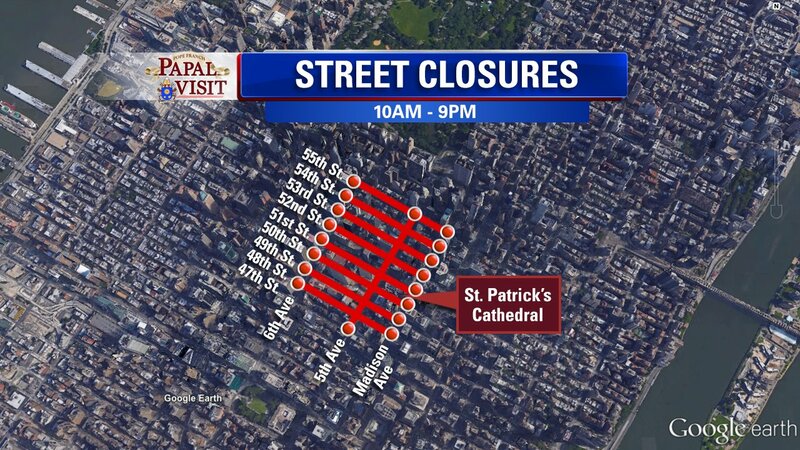 Trucks and other large vehicles will not be able to access until the end of the day's session.